Join Michael Sellick of The Crochet Crowd as he begins his Crochet Mystery Adventure! Beginning April 1, Michael will unveil the first step in the mystery crochet-along. Below, you’ll find everything you need to know about how to participate including dates, a full materials list, and a complete list of rules and guidelines. Scroll down for the fourth and FINAL set of clues! 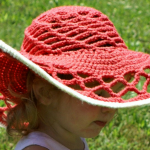 Follow the clues for 4 weeks to create a mystery crochet project with Mikey. On Tuesday, April 1st, 2014, you will receive your first set of clues to begin. The rest of the clues will come every Tuesday on April 8, 12 and 22nd. You will have until May 6th, 2014 to send Mikey an email with a photo of your finished project. 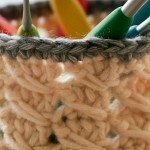 If you get our Hooked on Crochet newsletters, you will be notified first and the clues delivered to your inbox. You can add yourself to our newsletters by simply signing up here. To ensure you don’t disqualify yourself, don’t assume you know what the pattern is and finish it without all of the pattern being released. The clues must be followed so the pattern is completed. 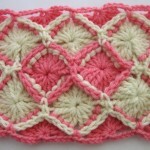 At the end, you can embellish or add your own touches but the main pattern has to be completely done first. A random winner will be chosen at the end to receive a fully loaded Red Heart Yarn Bag and Crochet Crowd gifts. You can always make more mystery projects. Each submission is a separate entry to qualify. You could even make multiple projects in stages throughout the 4 weeks. In all, this project took Mikey 2 days to make from start to finish. Spreading it over 4 weeks can give anyone the advantage of doing several at the same time in stages without feeling burdened. Part of the mystery is not knowing what it is. People are wanting to know which colors to pick… but that’s the fun. Everyone is going to have their own interpretations for the same pattern. I would bet anyone right now that the finale is going to have an entire gallery of the most adorable bunch of projects you have ever seen. 3 Colors of Red Heart Super Saver, Red Heart With Love and/or equivalent yarn. Mikey’s sample is done with Red Heart With Love as it’s softer than Super Saver. 1 Color of the 3 will be the main color which you will need nearly 1 ball. 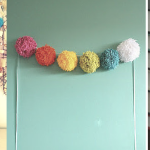 The other two are accent colors, but we can’t tell you which colors. Based on the clues below, you may come up with your own ideas of what the item might be and use colors that you think would be great together. This will allow all of us to come up with many different color versions of the same item. 1/2″ – 1″ Diameter Safety Eyes. Mikey’s sample has 1/2″. Mikey highly recommends getting safety eyes that look more like real eyes with pupils. 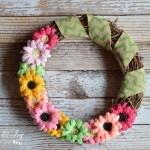 It will make your item look more realistic and far more cuter (learn more about how to use safety eyes here). Fiberfill Stuffing. If you know how to crochet eyes, you can crochet them instead of using safety eyes. The tutorial will not include crocheting the eyes. A shoebox or storage box to store your items as you finish your homework each week. Find a complete list of rules and guidelines here. Let’s start a mystery crochet adventure together. Today, we are going to explore 1 component of our project. Just to keep ourselves organized and stop from slipping up saying what the project is, we’re going to nickname our project as Rex. We can tell you with 100% certainty that Rex is super adorable and you will be proud of your finished results. You will have to give your creature a name too. Rex is an usual creature as he is a ruminant, which means he has more than one stomach. 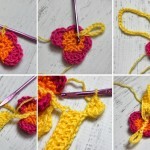 Abbreviations: A, B, C = Color A, B, C; ch = chain; cm = centimeters; dc = double crochet; mm = millimeters; sc = single crochet; st(s) = stitch(es); [ ] = work directions in brackets the number of times specified; * or ** = repeat whatever follows the * or ** as indicated. Today, we are going to give our Rex a little lift. He can run pretty fast, in fact, he can run faster than a human being. Now I can say for sure that I cannot run as fast as this creature, he would certainly take the gold medal. With C for the soles, ch 2. Fasten off. Cut yarn, leaving a long tail. Do not sew on the ears to your creature until you see more of the creature as it may change your mind on where they are supposed to go. Round 46: [Sc in next 3 sc, sc2tog] around – 24 sc. Insert fiberfill firmly. Using long tail, sew Neck and Body closed. You will need to ensure the neck can stand firm, even with a head on top before closing it off. Fasten off. Cut yarn, leaving a long tail. Stuff with fiberfill. Let’s start doing the assembly and final touches to your Rex. Sew legs onto the body. Sew head to the top of the neck firmly. He will look more adorable if his head is slightly turned to one side of his body. Sew horns onto the top of the head. Sew ears directly beside the horns on both sides of the head. Embroider a few loop stitches with A in between Horns on Head. This will create a tuff of hair on the head. Sew spots randomly all over the body. If you need more spots, just make more. Mane, With B, ch 35. Row 1: Dc in 4th ch from hook, skip 3 sts, *7 dc in next st, skip 3 sts; repeat from * to last st, sc in last st.
Fasten off. Cut yarn, leaving a long tail. Sew Mane down center of Head and Neck. 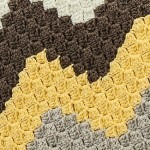 It’s time now for us to build our own African safari in The Crochet Crowd’s gallery. They will start collecting your finished creatures. Snap a photo and email it to MikeysHelpDesk@hotmail.com. They will be waiting for your creations. You have until 11:59 pm, EST on May 6th, 2014 to submit your finished creature. You can submit as many as you want. You can embellish your creature with more items, BUT all of the components that we have given out must be completed and on your creature first. If you have done multiple creatures and they are all identical, you will need to snap a photo of all you creatures together to verify there is more than just one. One randomly selected winner will be chosen to receive a fully loaded Red Heart Yarn Bag with Crochet Crowd Gifts. Random choice winner will be announced on Tuesday, May 13th, 2014. Just a question, in the video and on one of the supply list screens it says to use and I hook. On a different link it says to use G. I’m assuming go with the I? We just spoke with Mikey and the correct hook size to use is “I’. OMG! Love the idea! I can’t wait to start my proyect. I know is going to be súper cute! The best thing is that is a “surprise” and since is going to be a stuffed animal is more exiting for me. 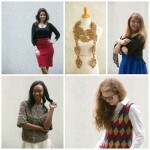 I’m ready for something different than my scarfs, hats, and afghans. Thank you Mikey!! I am going to try this but I don’t make any promises. LOL I have 2 Ideas of what this might be, but like you, I am keeping it to myself. I have a couple of ideas myself! may make several since I have lots of grandchildren. So glad I found this today! Will try to keep up! Thanks. How do you work the Gauge? I don’t understand that. Can anyone tell me the ounce weight of the yarn? Mikey suggested Red Heart Super Saver or Red Heart With Love yarn. Both are medium worsted weight (#4) yarn. I’m so excited to get in on something like this from the beginning. I can’t wait to get started. Thanks for such a fun contest. Glad I watched the video~ very nicely done, was wondering how we would know where to place the eyes. I laughed when I saw your safety eyes Mikey, when gathering my supplies I had a choice from my stash of yellow or brown safety eyes and I chose the yellow, not knowing of course what we are making, so we have the same color eyes. I decided not to pick the blue “cat” eyes, good thing huh~! I think you are awesome Mikey I have did a couple of crochet alongs with you and they are great, being that I love mysteries as it is I think this idea is awesome, it will make sitting at home an adventure on Tuesdays thanks a lot this is going to be great. Sounds like fun Think I give it try this. Ooooh, this looks great! I already have an idea what creature will come! I don’t have time to do this….but I will MAKE time! At 22.00 in my bed! LOL ! Thnx mikey for this great spring adventure! I have a question. May we use a magic circle at the beginning? I do not like the look of the Chain 2, 6 sc into the second chain from the hook method. Just a personal preference. How do you work the gauge? This is so confusing to me, please help. 14 rows 11 single crochet across should make a 3 inch by 4 inch square. If your square is bigger, use a smaller hook. If your square is smaller, use a bigger hook. Hope this helps. What a good idea. I am excited to find out this is. I am hoping to keep up with the project and find out what it is. Thank you MIkey for this and Free Crochet. Fun to do something different and the mystery of what it is. Love this concept! Thank you! I can’t find glas eyes, so would buttons do? I can only find the eyes at hobby lobby near the doll making things. I found them in blue, yellow and brown. Size 15 mm. They were .99 cents for 2 pairs. I can’t find glass eyes, so would buttons do? Trina: you can also crochet them. Make a magic circle and crochet 6 sc, close the round. Then, inserting again the crochet in the center of the magic ring to crochet 10-12 sc but longer enough to cover the first row. It gives you volume to the eyes. You can also crochet a final round of sc in white to make them more realistic Even more, if it is a camel, white external stitches in tne lower part of the eye can be double crochet to give the melancolic appearence. I hope I was clear enough. It was hard enough wait until Tuesday 12:01 am, but now it is now 7:30 and STILL no CLUES? Where do I find them? In the written instructions, the head and the ear colors are both listed as Color A but in the video, the ears are made with Color C. Are the ears supposed to be Color C? The color is supposed to be the same. Mikey just changed it up a bit in the video for creative purposes. What does it mean? Can we be creativ also and crochet them in colour C? I thought the ears were supposed to be in same color (“A”) as head??? Tuesday night I started to crochet legs and ears and suddenly I saw two felts ruminants on a shelf: a moose and a camel (a false ruminant really). Their heads and ears looked exactly the same I was crocheting. I bet it will be one of them!!! A could would be too obvious!!! In the 3rd set of written instructions, it says to slip stitch all chains on the way back, but in the video Mikey says to single crochet and thats what he does. I take it the video is correct and not the written instructions? The final clues for April 22nd, did not come through on the link. Please help!! The final clue(s) for April 22nd did not come through on the link. Please help!! I agree. I just sewed mine on… I hope I did it right, because I’ve only been crocheting since Valentines day.